Consult local insurance agents to make sure you’re covered. It’s great that your employer offers life insurance, called group insurance. But you should still contact local insurance agents for an individual policy. If you are single, a $25K —$50K check sounds like a nice chunk of change for your parents or other loved ones you leave behind. However, in most cases — yes, even for single people — it’s simply not enough. Final expenses can be greater than you think. Funerals can range in price, but a recent survey by the National Funeral Directors Association found a median price of $7K. Furthermore, if your private student loans, mortgage, or car loans have a co-signer, then that co-signer will be stuck with your debt after you die. To avoid this, you can either remove co-signers from loans through refinancing, or purchase term life insurance that will cover the cost of your remaining debt. “A $1 million dollar policy may seem like a lot, but if you have a spouse and two young kids who aspire to college someday, and you have some debt, $1 million may not get them very far if you want them to maintain the lifestyle they’ve become accustomed to. 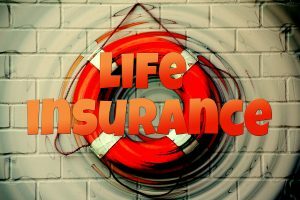 The bottom line is that you likely need more than your employer offers, and even if you can buy more life insurance through your employer, that policy can be at risk should you lose your job. Those are good reasons to consult the local insurance agents at Seeman Holtz Property & Casualty. At Seeman Holtz Property & Casualty, we understand that as things in your life change, so will your financial and insurance needs. With fluctuating rates of return and overlooked lapses in coverage, it’s important to regularly review and evaluate your life insurance program with a specialist you can trust.